I love buying books for my nieces and nephews, only sometimes it's hard to know what's good beyond the classics we grew up with, which they probably already own. My friend Vanessa pointed out a board book that was given to her son and I flipped through it at his birthday party. 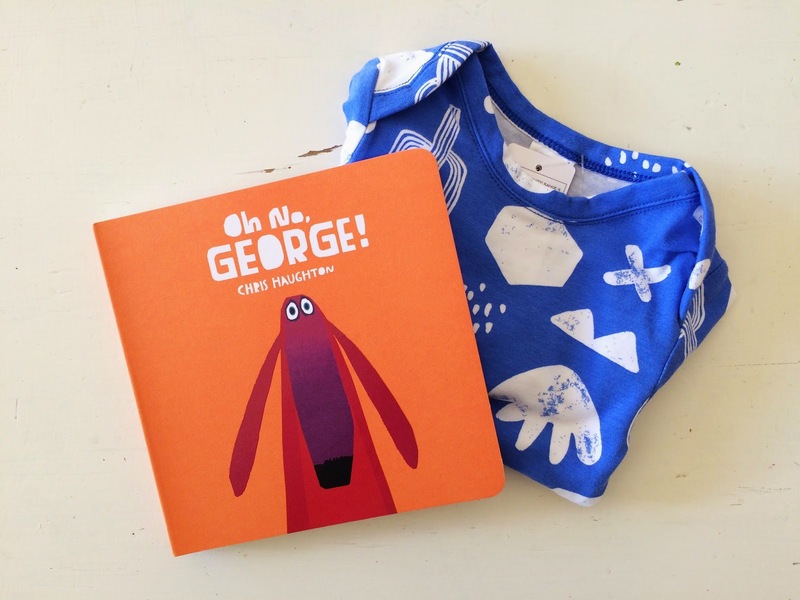 The book is called Oh No, George! and it's a beautifully designed book about a dog who really wants to be good but has trouble resisting temptations - like an unattended cake. It's simply written, funny and has a wonderful message for kids. It even has a philosophical quote on the back page for parents too. I found a copy at my favourite kid's shop in Summer Hill, Sydney and have since bought another two copies, which I'm saving for my nephew and a friend's first baby. P.S - My favourite picture book as a child was There's a Hippoptomus On Our Roof Eating Cake and I'd love to buy this book for my niece when she's a little older. I like to give Cozy Classics - http://www.mycozyclassics.com/books/ - especially Jane Eyre, Pride and Prejudice and Les Miserables - these are board books for babies. I love Oliver Jeffers' picture books, especially The Incedible Book Eating Boy. I think I gave away three copies of RJ Palacio's Wonder at Christmas, though that is for older children.